Topic: The American view of Law and Government, School American Clubs, U.S. Constitution, Interposition, Local Advocacy, Impeachment, Jurisdictions, and the Role of the Citizen. The former co-host of the syndicated talk show, The Sons of Liberty, he is an ordained minister and has spoken to audiences nation-wide, and has established the American Club, a constitutional study group in public and private schools. Every year, Institute on the Constitution (IOTC) partners with the dedicated, activist retirees of the Villages—a massive retirement community—and the Tea Party Manatee in Bradenton, FL. IOTC President Jake MacAulay visited both groups during election week 2016. Both groups have unbelievable tireless, dedicated leadership. Aileen of the Villages Tea Party has been faithfully, single-handedly leading a group of 100 individuals every month, keeping them informed for every election. Dean and Janet Mixon of Sea Coast Manatee Tea Party own one of the nicest fruit farms in Florida. Located in Bradenton, the Mixons felt a burden for their beloved country, so they began hosting meetings in one of the meeting rooms on their farm. This grew attracted top members of political parties and individuals running for office. Just before Jake shared with the group on Election Day 2016, Mark Rubio had an event where he rented the facility. “These two have placed their own personal desires on the alter of Liberty and I am so humbled to be with them every year. I have traveled the country and true Americans like these are not easy to come by,” said MacAulay. Visit Villages Tea Party at www.TheVillagesTeaParty.org, and Tea Party Manatee at www.TeaPartyManatee.org . 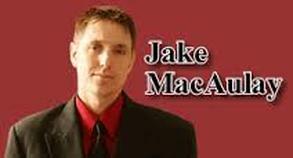 Click here to view Jake MacAulay’s presentation at The Villages Tea Party.